Right now Canadian’s have bargain-basement buying power on the world’s most prized natural resource: oil. Good thing we’re part of a global economy. 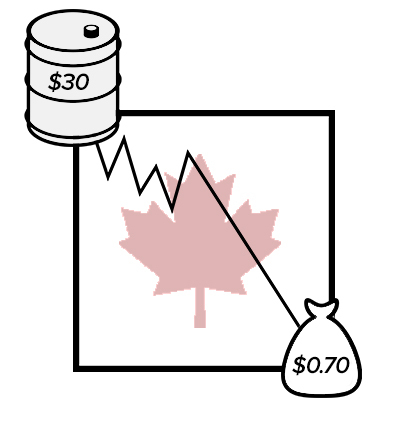 When the price of oil slides, as does the Canadian dollar. With a barrel of oil costing less than $30 these days, our dollar is worth around $0.70 to the U.S. dollar. That may look dire, but this is the time you should double down on public relations and marketing efforts – particularly focused on the US. Because the dollar value is so low, Bank of Canada has kept our interest rate set at the extra-low 0.5 per cent, which mean it’s a great opportunity for businesses looking for loans to reinvest in their business. Especially since a new liberal government is in power and looking for ways to invest in businesses to bolster the economy. The table is set for a period of enormous stimulated growth. Get on top of it! Start promoting south of the border. Windfalls from governmental investment won’t be felt by businesses in the short term as it takes months for stimulus funds to work their way through governments and into communities. The vast majority of Canadian cities and people hug closely to the United States to take advantage of this and market directly to the Americans. For tourism companies this is the go-to growth strategy. The USA is a larger market and historically had a stronger dollar. This doesn’t just apply to across the border shopping. Canadian companies selling manufactured goods have long-benefited from a lower dollar and our services sector can do the same. Get this reciprocal benefit by investing in public relations and marketing campaigns targeted to the US market. A company can’t buy from you if they don’t know who you are. Make new investments to offer a new service. Step 1: Invest in People. In this economy labour markets loosen up. Some people have lost their jobs and are looking for new opportunities. The government helps brands hire through wage subsidies and there are more than 50 programs that help brands hire a huge range of experienced people. One out of Alberta even helps brands hire PhD and masters graduates to conduct research in their field for your brand. If you don’t need more people, train your existing team on new skills. The Canadian government offers $10,000 per-employee through the Canadian Job Grant program that can be used for continuing education for your team such as copywriting workshops, lessons in Photoshop and other design programs, and or learning how to write code. Step 2: Invest in Technology. Canadian businesses have access to the Business Development Bank’s Technology and Innovation Fund that helps brands buy new hardware, equipment and software. 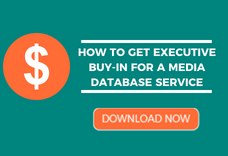 Once you have the team in place to sell a new service, ensure they have the equipment to do it right. Push back against budget cuts. Showcase the ROI of your campaigns over the last two years and project how much business can be gained by continued or expanded investment. It’s important to identify the opportunity cost of reducing investment in your programming and efforts. Read our tip sheet on modern PR measurement. Review your the activities from last year to see where costs can be reduced within programs to improve efficiency — opposed to cancelling effective programs. In the end you may find more money that you expected. Use some of it and try something new. Sign a new advertising deal, go to a conference, run public relations campaign and monitor how your efforts tie back to the bottom line. Expand on what worked, stop doing what didn’t and move forward with a results driven mindset.